Q1. Which famous Walt Disney Mouseketeer had a recurring role on the 1950's television series Zorro, and a real-life crush on married star Guy Williams (Zorro)? Q2. What was the name of Zorro's mute manservant and foolish-on-purpose co-conspirator? The above episode of Zorro "Amnesty for Zorro" aired in January 1959, season two of the series, and is an excellent example of the colorized episodes. Guest stars Jolene Brand and Richard Anderson appear, along with Zorro star Guy Williams and other regulars. The original half-hour, black-and-white Zorro tv show aired on ABC between October 1957- July 1959, and was a favourite with baby boomer children for many years (including re-runs). An additional four, hour-long specials aired between 1960-1961. In 1983 when The Disney Channel launched, black-and-white Zorro re-runs aired again, mixed in with colorized versions after 1992, until 2002. Canadian and U.S. baby boomers and their senior parents, may recall issues with "Z" being carved or drawn on school desks. Even the theme song (sung by the Mellomen in the intro, below) was popular. 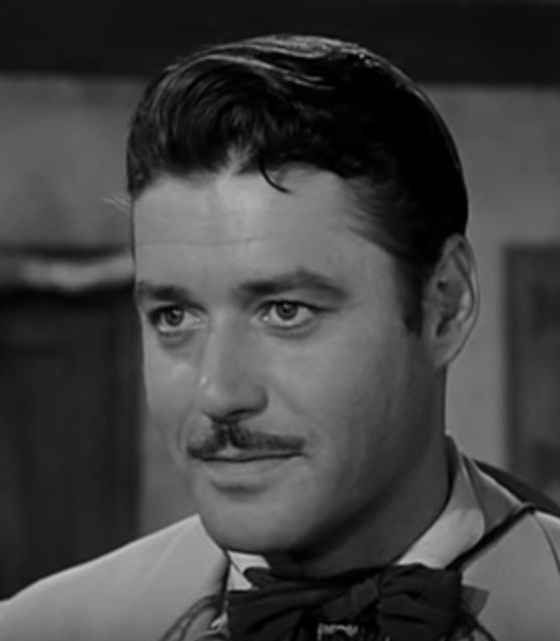 Handsome actor Guy Williams (born Armand Catalano) played Don Diego de la Vega/Zorro, who is recalled by his father Don Alejandro de la Vega (played by George J. Lewis), a rich cattle rancher, from Spain to their home in Los Angeles, to help in the battle for California (the era of Mexican rule in California is approximately 1821-1846). 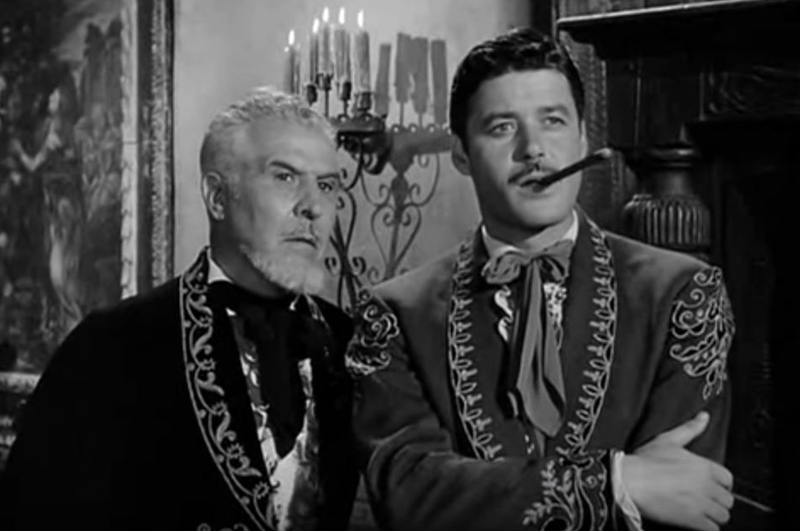 Below, George J. Lewis and Guy Williams as de la Vega father and son on Zorro. Don Diego is terrible at swords, unlike the masked Zorro who fights the injustices of Mexican Captain Enrique Sánchez Monastario (played by actor Britt Lomond). Williams would later star in another well-known baby boomer television series, Lost in Space (1965-1968). However, he was always hugely popular in Argentina because of his role on Zorro, and ended up retiring there in the late 1970's, when he was 50+. 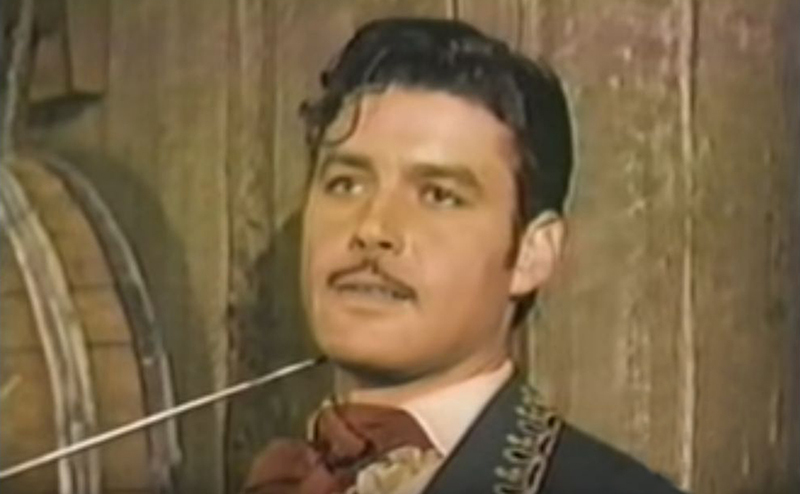 Guy Williams died of brain aneurism at his home near Buenos Aires, in 1989 - the same year he became a senior citizen. Singer and actor Henry Calvin played brave yet bumbling Sergeant Demetrio López García, at first an adversary and later a fan, of Zorro. Calvin sang in several episodes of Zorro and acted and sang in other Disney productions. He kept in touch with the other cast members and visited Guy Williams at his home in Argentina, before dying of cancer in 1975 in his late fifties. 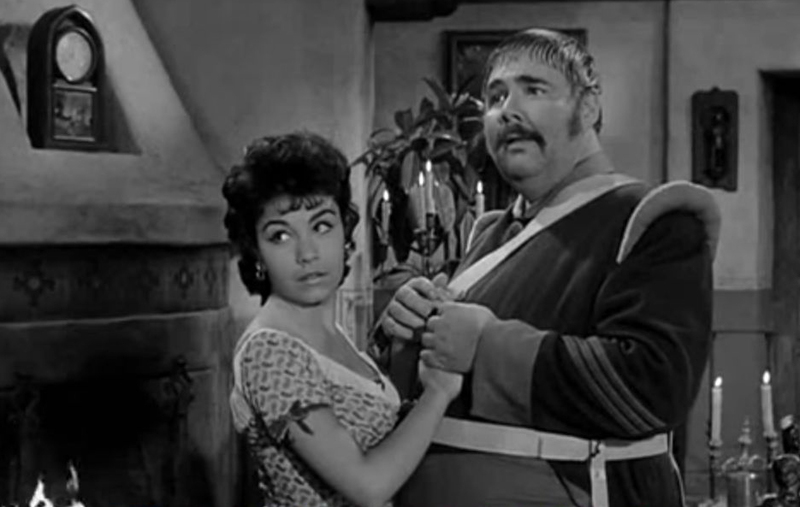 Below, Henry Calvin in character as Sergent Garcia, with actress Annette Funicello playing his visiting niece, Constancia de la Torre. A1. Walt Disney Productions owned the Zorro television series, and Mouseketeer Annette Funicello was given a 3-episode role on Zorro as Anita Campillo in Season 2, by Walt Disney as a birthday present (Walt knew about her crush on Zorro actor Guy Williams). Annette also played bride-to-be Constancia de la Torre in the special 1-hour episode The Postponed Wedding. Below, Guy Williams and Annette Funicello in Zorro, The Postponed Wedding. Note that Walt Disney himself gives the intro the the episode. A2. 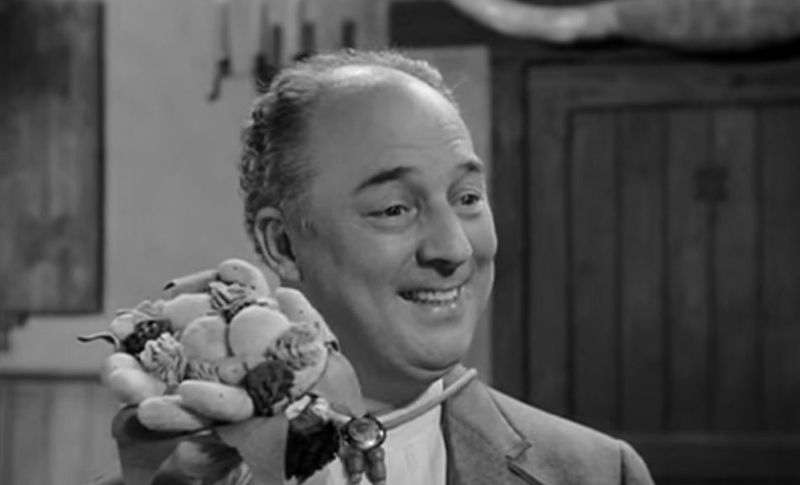 Bernardo, played by actor Gene Sheldon, used sign language to communicate. Although Bernardo was mute, he was not deaf (as he pretends to be). In the original Zorro stories written by author Johnston McCulley, beginning in 1919 with The Curse of Capistrano, Bernardo was deaf and dumb. Below, Gene Sheldon as Bernardo on Zorro.